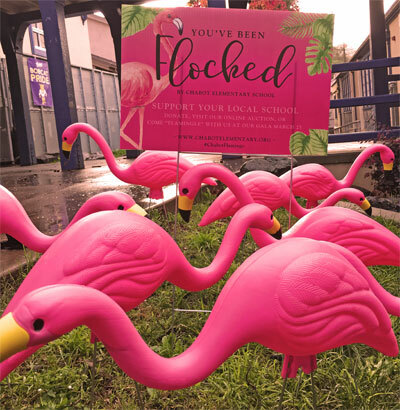 Send a flock of flamingos to your neighbors and friends yard, just think of the surprise, then giggles when they wake up to a yard of pink flamingos*! The flock will roost for 24 hours before they migrate to the next yard. The Flamingos will start landing in yards Monday February 27th – and fly south sometime around Monday March 13th. 2. Place your order in person with the Flocking Team on Friday February 24th or during First Friday coffee on March 3rd.